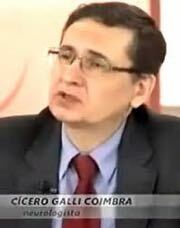 CICERO GALLI COIMBRA, MD, Ph.D. WARNING: "therapeutic use of Vitamin D3 is different from preventive use. The therapeutic use of this vitamin-hormone D always requires the guidance and monitoring by a physician with specific training to analyse each particular case and to determine the right dose. Otherwise there may be serious damage to health". ATTENTION: "All patients should have periodic (at least annually) dexa scans. All those who remain sedentary will slowly loose bone mass. If they maintain a daily aerobic exercise (like 30-min brisk walking) they will steadily gain bone density. Those high doses of vitamin D stimulate both osteoblastic and osteoclastic activities simultaneously as demonstrated by measuring P1NP and CTX respectively. Aerobic exercise (initiated after the second medical appointment) will induce production of calcitonin and efficiently inhibit osteoclastic activity. Those disabled patients (due to neurologic disabilities or joint damage like in rheumatoid arthritis) who are therefore not capable of doing aerobic exercise should receive biphosphonates. We have used alendronate 70 mg per week. Vitamin K2 is useless under the doses of vitamin D we have employed. Aerobic exercise should start from the second medical appointment (when most fatigue is already gone). Disabling fatigue and intolerance to environmental heat affects around 80% of MS and seem to be reliable clinical index of disease activity. We always record the percentual improvement of fatigue and intolerance to heat. Patients usually start noticing reduction of fatigue around 1 month of treatment"
The vital importance of the hormone known as Vitamin D3 for the preservation or restoration of health. Vitamin D3 10,000 IU daily is vital to preserve health. by Daniel Cunha, a patient of Dr. Cicero Galli Coimbra living with MS.
by Leonardo Rubini, a patient of Dr. Cicero Galli Coimbra. 95 percent of auto-immune diseases are cured with high doses of vitamin D3. How did your protocol with high doses of Vitamin D3 come about? What does your protocol with high doses of Vitamin D3 entail? How many patients have you treated with your Vitamin D3 protocol and what is the success rate? What is the success rate of you Vitamin D3 protocol for patients with multiple sclerosis? What is the success rate for patients with chronic inflammatory bowel diseases such as ulcerative colitis and Crohn's disease? Why haven't you tested you Vitamin D3 protocol in a RCT (randomized controlled trial)? Are there observational studies (not double-blind or similar) published or pending, about this Vitamin D3 protocol? If not, why not? Is the success rate for patients with psoriasis the same as for patients with Multiple Sclerosis? What kind of neurological diseases is suitable for your Vitamin D3 protocol and how does it work? Besides skeletal and autoimmune diseases, in which other cases your protocol can be useful? Does your Vitamin D3 protocol also eliminate heavy metals in patients with MS, caused by an enzyme deficiency? Is Vitamin D deficiency the cause of the inflammation and autoimmunity or is it the result of the underlying pathology? Do you agree with the fact that measuring the parathyroid hormone (PTH) level is critical, because it is a marker used to verify the Vitamin D metabolism? What should be the ideal level of vitamin D [25(OH)D3] and PTH in a person suffering from an autoimmune disease, and in healthy people? What is the ideal level of PTH in the blood? What is the best frequency of Vitamin D supplementation? Daily, weekly, monthly or yearly? And why? Those who follow your Vitamin D3 protocol should drink at least 2.5 liters of water per day. How much should healthy people drink who only take 10,000IU per day? How does your Vitamin D3 protocol interact with the intestinal microbiota, the digestive system and the Vitamin D Receptor (VDR)? Why is Vitamin B2 so important in your Vitamin D3 protocol? What is the relationship between vitamin D and phosphorus? What is the role played by Vitamin D in clinical renal failure? Is high Vitamin D3 intake incompatible with Glucose-6-phosphate dehydrogenase deficiency (G6PD) (favism)? What is the relationship between Vitamin D and dystonia (a neurological movement disorder)? Have you ever had patients with ALD (adrenoleukodystrophy) a metabolic disorder? Is it possible to treat it with your Vitamin D3 protocol? Can a patient take Vitamin D3 and Coumadin at the same time? Which medications are not compatible with Vitamin D3? Do you think it is necessary to be under medical supervision when taking 10,000 IU per day? Are you willing to come to Italy for a symposium about your protocol with high doses of vitamin D3? A list of doctors that follow the Coimbra Vitamin D Protocol. Vitamin D is great for prevention of disease, but what about treatment after you've been diagnosed? Since March is National Multiple Sclerosis month, now is the perfect time to bring it out into the light. The protocol we'll be highlighting in this newsletter was developed by Dr. Cicero Coimbra of Brazil. - Part 3 of 3: How long is the treatment? Let's Hear from the MS Community! Maybe you don't have MS. Maybe you have another condition. We would like to hear from you! This week we are presenting two success stories from the Coimbra Protocol. Both Brazilian women. Both with long-term success. MS organizations are funding research, but it may not adequately represent vitamin D's potential. Our hope is that by this time next year we can report on a study, which will have been funded by a major MS organization, showing the efficacy of vitamin D and MS or a new standard of care to prevent MS - or as the National MS Society says - "a world free of MS."
This newsletter presents another perspective on how a life with MS can be bettered with vitamin D by detailing a study conducted by a researcher on herself, after being diagnosed with MS. Here's to the end of MS! This week's newsletter presents a final round of information on vitamin D and MS, including an interview with Dr. Reinhold Vieth, a review of the SOLAR study, and an exciting announcement about the largest managed care organization in the US recommending more sun for better health! Vitamin D – the cure for autoimmune diseases? >> Webpage Vitamin D – Heilmittel für MS und Autoimmunerkrankungen? More than six years of treatment with high doses of vitamin D for multiple sclerosis. My goal is to share my personal experiences with high doses of vitamin D. I genuinely want to provide hope for people who are newly diagnosed with MS and feel like their life is over. I know how it feels like to be desperate and hopeless. I am in my 20's,diagnosed with multiple sclerosis in August 2014. Coimbra Protocol was developed by Dr. Cicero Galli Coimbra, a neurologist practicing in São Paulo, Brazil, the Coimbra Protocol is a therapeutic approach that relies on high doses of vitamin D to halt the misguided attacks of the immune system, and it has enabled thousands of patients around the world to keep their autoimmune diseases in permanent remission. Vitamina D per SM e altre "malattie autoimmuni"
Vitamin D3 - Čudežni hormon !